If you reside in Waynesville, North Carolina you will be able to apply for Medicare Advantage with Part D with prescription drug benefits at a $0 premium for 2019. In the past few years, prescription drug benefits were not part of the $0 premium. The will be in 2019. If you are seeking this type of health insurance, contact The Mair Agency today. Our amazing agent Barbara Maneri will be more than happy to assist you in your application. 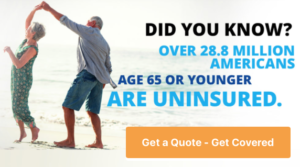 She will also answer any questions you may have as it relates to Medicare or any type of health insurance in Haywood County, North Carolina. If you happen to live in Clyde, Canton, Lake Junluska, Maggie Valley or Clyde, you too can apply for Medicare Advantage with Part D with prescription drug benefits at $0 premiums. This is an opportunity that many have asked for over the years and Blue Cross Blue Shield of North Carolina has created a plan just for you. Do not hesitate to contact us even before open enrollment begins on October 15th. We will get all the paperwork ready to go so you can submit your application as soon as possible. Most of Western North Carolina will have this offer from Blue Cross Blue Shield of North Carolina. The counties that are included are Macon, Jackson, Haywood, Madison, Yancey, Mitchell, Transylvania, Henderson, Polk, Rutherford, Buncombe, McDowell, Burke, Catawba and Alexander. Note that if you are relocating your family to Waynesville, North Carolina or any part of Haywood County, we can assist you in finding a health insurance plan for yourself and your family. We can also help you find temporary or short term health insurance for doctors in your area. There have been a lot of changes in healthcare over the last several years and we do not want anyone to be left in the dark. No matter how many questions you may have, our staff of experienced agents will go above and beyond to get you the answers. You may want to utilize our Asheville, NC health insurance page to learn more about the options available in your area.